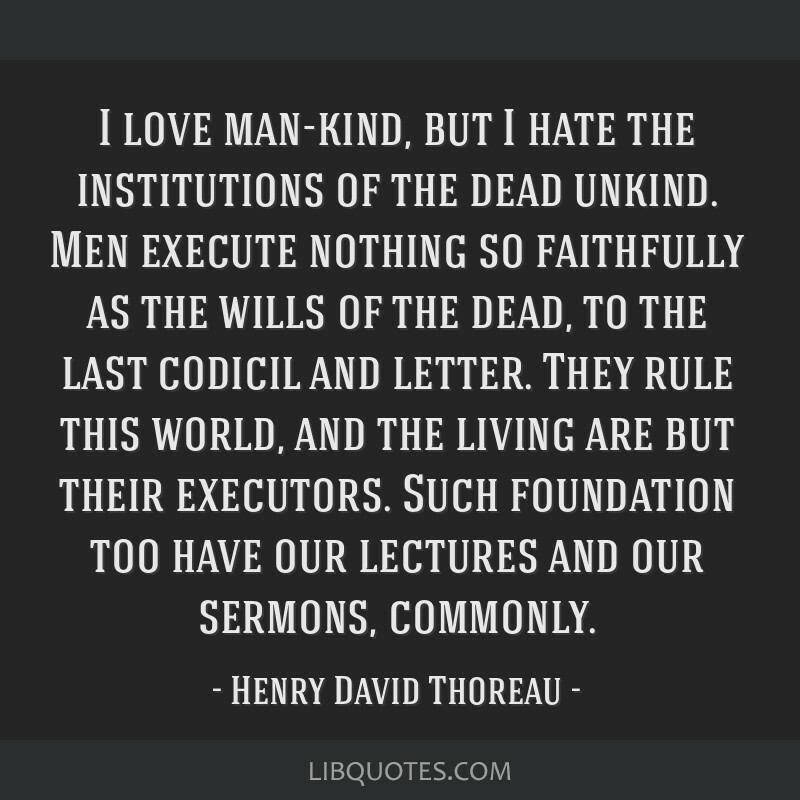 I love man-kind, but I hate the institutions of the dead unkind. 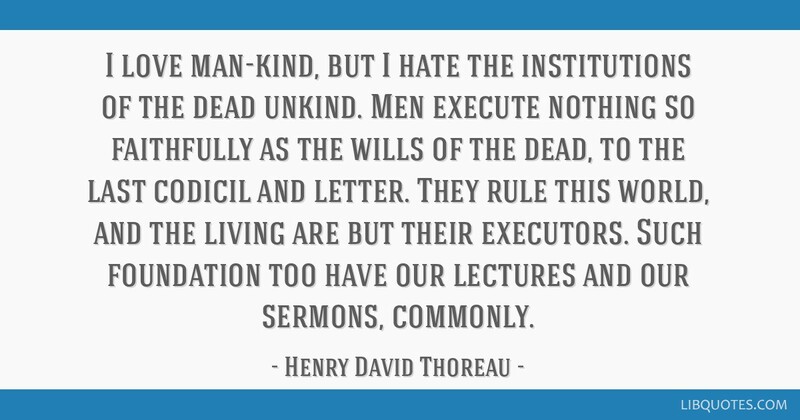 Men execute nothing so faithfully as the wills of the dead, to the last codicil and letter. 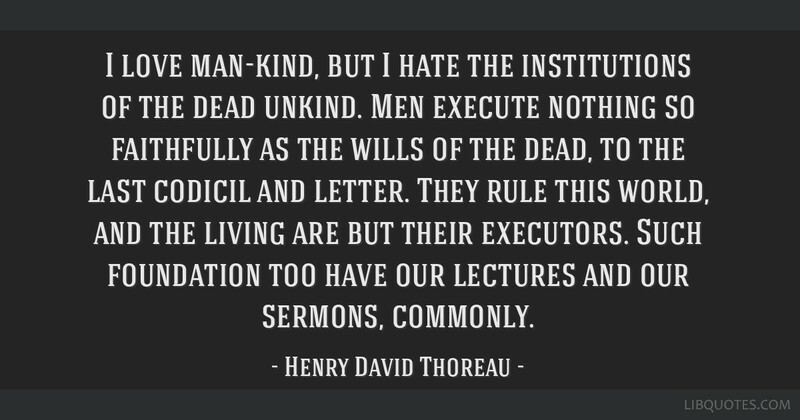 They rule this world, and the living are but their executors. 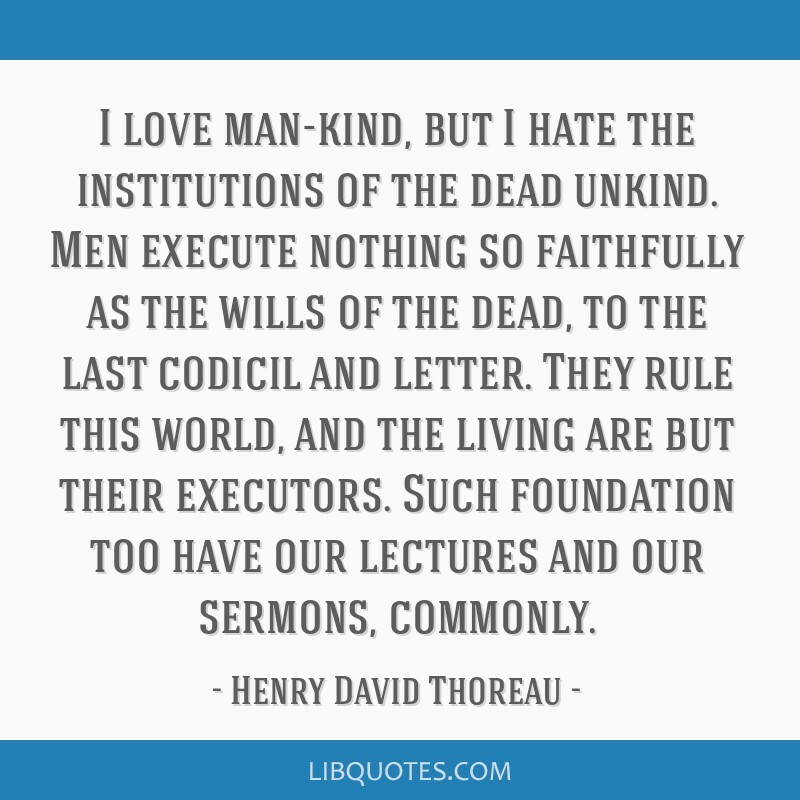 Such foundation too have our lectures and our sermons, commonly.